The return of television to British screens on 7 June 1946 represented a considerable victory on several fronts. The fact that there remained a British Broadcasting Corporation at all after the “long, weary and perilous years” of conflict, as the BBC’s Director-General William Haley put it, was itself testimony to British and Allied victory in the Second World War. It was also a victory for the BBC as a commercial competitor would not be sanctioned by the British government for nearly another decade. 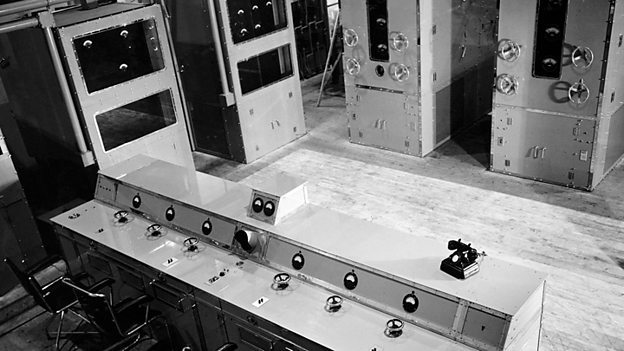 Above all, however, it was a victory for the small number of pioneering engineers, programme-makers and audiences who believed that television was the future of broadcasting. 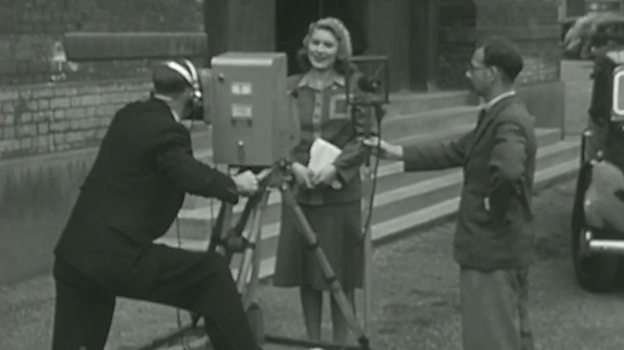 The original shock of this new technology, when inaugurated in November 1936, was replaced in 1946 with a return to the familiar as Jasmine Bligh, one of the original pre-war presenters, greeted viewers on the steps of Alexandra Palace, re-launching regular broadcasts just in time to televise the following day’s Victory Parade through London. Following Jasmine Bligh’s introduction at 3pm on Friday 7 June, this first hour-long programme included the official opening declaration by the Post-Master General, the Earl of Listowel followed by ballet with Margot Fonteyn, a talk (with drawings) by David Low, and Mickey’s Gala Premiere, the cartoon that was the last item transmitted before the Television Service closed down on 1 September 1939. Broadcasting was resumed for a further two hours at 8.30pm in the evening, featuring Geraldo and his Orchestra and a play by Vercors (Jean Bruller) entitled The Silence of the Sea. Details of the this and other daily television and radio schedules can be found at the BBC’s Genome project website. Over the coming days and months a regular timetable of television broadcasting was re-established: an hour during the day (3-4pm), except for extensions in the case of plays of special outside broadcasts and two hours in the evening from 8.30pm. Demonstration films were also broadcast at 11am in the morning. Plays were the most popular of the studio-based programmes, closely followed by variety shows, musical comedies, light operas and ballet. Magazine programmes such as Picture Page and Kaleidoscope featured regularly, as did the BBC Newsreel. Outside broadcasts, from within a thirty mile radius of Alexandra Palace, included national ceremonies, relays from theatres and dance halls, coverage of exhibitions and sporting events of all kinds. In Nevertheless, despite the resumption of broadcasting in vision as well as sound, in the seven years between the shut down of the television service in 1939 and its re-opening in 1946 the world had radically and irrevocably changed. New geostrategic power blocs, the atomic threat and the demands independence movements shaped the contours of the postwar world. By way of contrast, television in the United Kingdom had effectively been deep frozen for the duration with any spare parts harvested for the war effort. As BBC engineer James Redmond recalled, it took some time for Alexandra Palace to become operational again. The reopening of television coincided with a renewal in British social attitudes after the war, epitomized by the establishment of the welfare state. However, this burst of postwar self-confidence and the sense of experimentation that went with it were constrained by the realities of austerity Britain, limiting ambitions and the means with which to realise them. At the BBC, such an aversion to risk among senior management was combined with a professional suspicion as to the value of television, as opposed to the more established and well-understood medium of radio. 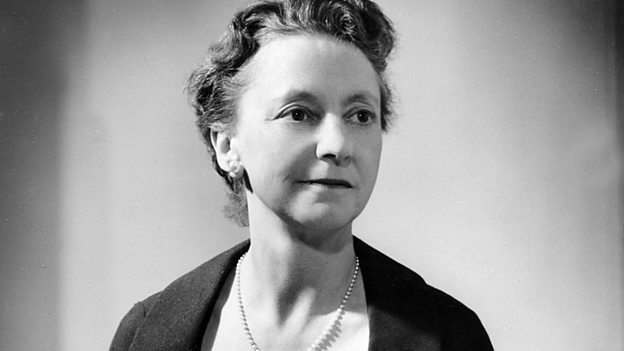 As the ground-breaking television producer and, later, Head of Television Talks Grace Wyndham Goldie observed, this resulted in a great deal of tension between Television and Broadcasting House. The concern of some at the BBC that television would compete with radio for audiences was confirmed in a 1948 in-house report, An Enquiry Into Television Viewing – the BBC’s first substantive research on television habits: “All three sound services – Home, Light and Third Programme – yield up their quota to television”. Preserved at the BBC’s Written Archive Centre in Caversham, the report was written by Robert Silvey, the BBC’s audience research supremo whose title, Head of Listener Research, indicated the subordinate status of television at the time. Yet, its contents presciently illuminate some key and surprising characteristics of watching television. “Viewing,” he noted, “far more than listening, is indulged in as an end in itself: people watch TV irrespective of programme content to a far greater extent than they listen with similar pliancy to sound broadcasting”. For Silvey, this raised a singular and critical question, one that we still debate, about the “role of television as a catalytic agent in changing the pattern of contemporary culture”.